It seems like only yesterday when we had the "Blood Moon." And now we have the "Super Moon." In Brisbane, the highest hill is Mt Coot-tha. And it was loaded with watchers and photographers wanting to see a super bright moon come up off the horizon. There was a bit of haze, and the sun was still up, so the moon didn't appear until it was up by about 7 or 8 degrees. 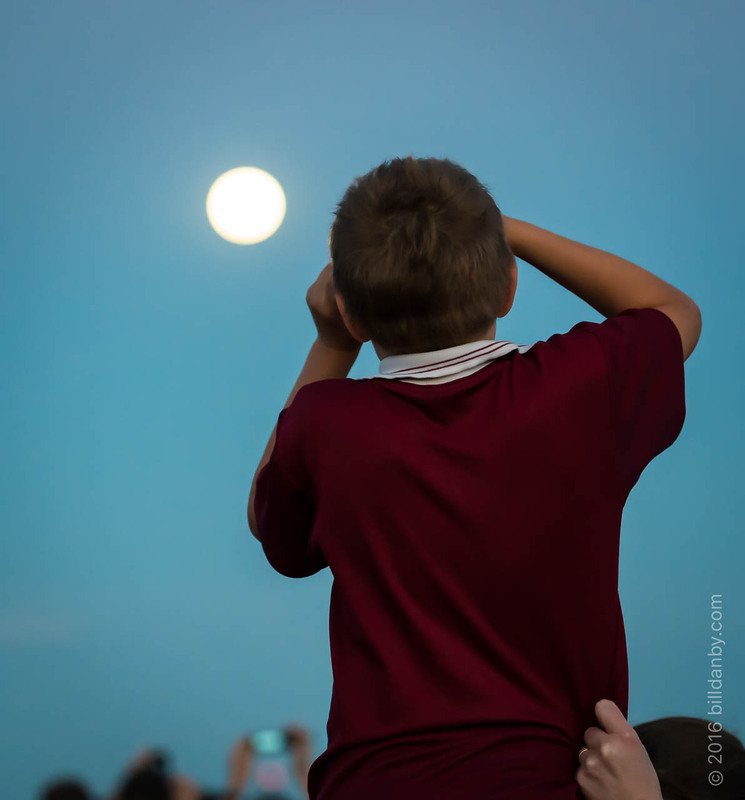 I usually avoid crowds, but it's fun to photograph the moon watchers. And one other thing: This was the brightest moon since 1948, the year of my birth.